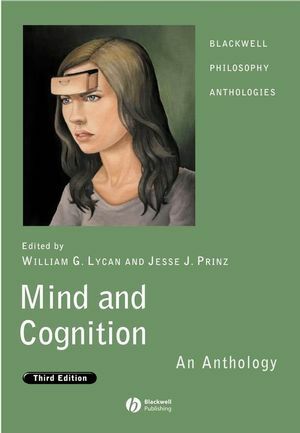 First published in 1990, Mind and Cognition: An Anthology is now firmly established as a popular teaching apparatus for upper level undergraduate and graduate courses in the philosophy of mind. William G. Lycan is Professor of Philosophy at the University of North Carolina at Chapel Hill. He has published widely in the field of philosophy of mind and language. His publications include Consciousness (1987), Judgement and Justification (1988), and Consciousness and Experience (1996). Jesse J. Prinz is Professor of Philosophy at the University of North Carolina at Chapel Hill. He works primarily in the philosophy of mind and cognitive science. His books include Furnishing the Mind: Concepts and Their Perceptual Basis (2002), Gut Reactions: A Perceptual Theory of Emotion (2004), and The Emotional Construction of Morals (2007). Part I: Ontology: The Identity Theory and Functionalism:. 1. Excerpt from About Behaviorism: B. F. Skinner. The Identity Theory and Machine Functionalism. 2. Is Consciousness a Brain Process? : U. T. Place. 3. The Causal Theory of Mind: D. M. Armstrong. 4. The Nature of Mental States: Hilary Putnam. 5. Troubles with Functionalism (excerpt): Ned Block. 6. Mental Events: Donald Davidson. 7. The Continuity of Levels of Nature: William G. Lycan. 8. Information and Representation: Jerry A. Fodor. 9. Biosemantics: Ruth Garrett Millikan. 10. A Guide to Naturalizing Semantics (excerpt): Barry Loewer. 11. Modality, Normativity, and Intentionality: Robert Brandom. Part III: The Computational Theory of Mind and Artificial Intelligence. The Language of Thought and Computationalism. 12. Why There Has to Be and How There Could Be a Private Language: Jerry A. Fodor. 13. Which Language Do We Think With? : Peter Carruthers. 14. Semantic Engines: An Introduction to Mind Design: John Haugeland. 15. Can Computers Think? : John R. Searle. Part IV: Eliminativism, Neurophilosophy, and Anti-Representationalism. 16. Eliminative Materialism and the Propositional Attitudes: Paul M. Churchland. 17. Neural Representation and Neural Computation: Patricia Smith Churchland and Terrence Sejnowski. 18. Connectionism and Cognitive Architecture (excerpt): Jerry A. Fodor and Zenon W. Pylyshyn. Dynamical Systems Theory and Robotics. 19. What Might Cognition Be, If Not Computation? : Tim Van Gelder. 20. Intelligence Without Representation: Rodney A. Brooks. Part V: Instrumentalism and Folk Psychology. 21. True Believers: The Intentional Strategy and Why it Works: Daniel C. Dennett. 22. Dennett on Intentional Systems: Stephen P. Stich. 23. Real Patterns: Daniel C. Dennett. Simulationism and the Theory Theory. 24. Folk Psychology as Simulation: Robert M. Gordon. 25. Folk Psychology: Simulation or Tacit Theory? (excerpt): Stephen P. Stich and Shaun Nichols. Part VI: Mental Causation, Externalism, and Self-Knowledge. For and Against Folk Psychology. 26. Autonomous Psychology and the Belief--Desire Thesis: Stephen P. Stich. 27. 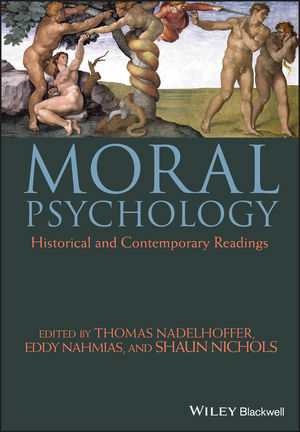 Folk Psychology is Here to Stay: Terence Horgan and James Woodward. 28. Mental Causation: Jaegwon Kim. 29. Type Epiphenomenalism, Type Dualism, and the Causal Priority of the Physical: Brian P. McLaughlin. 30. Individualism and Supervenience: Jerry A. Fodor. 31. The Argument from Causal Powers: Robert A. Wilson. 32. Reference, Causal Powers, Externalist Intuitions, and Unicorns: Gabriel M. A. Segal. 33. Knowing One’s Own Mind: Donald Davidson. 34. Externalism and Inference: Paul A. Boghossian. 35. The Extended Mind: Andy Clark and David J. Chalmers. Part VII: Consciousness, Qualia, and Subjectivity. 36. How Not to Find the Neural Correlate of Consciousness: Ned Block. 37. What Should We Expect from a Theory of Consciousness? : Patricia S. Churchland. 38. Consciousness and its Place in Nature (excerpt): David J. Chalmers. 39. A Theory of Consciousness (excerpt): David M. Rosenthal. 40. The Superiority of HOP to HOT: William G. Lycan. 41. Perception without Awareness: Fred Dretske. 42. Epiphenomenal Qualia: Frank Jackson. 43. Understanding the Phenomenal Mind: Are We All Just Armadillos? : Robert Van Gulick. 44. The Intrinsic Quality of Experience: Gilbert Harman. 45. Sensation and the Content of Experience: Christopher Peacocke. 46. Blurry Images, Double Vision, and Other Oddities: Michael Tye. 47. Simple Seeing: Fred Dretske. 48. Excerpts from The Varieties of Reference: Gareth Evans. 49. Non-conceptual Content: John McDowell. 50. Experience Without the Head: Alva Noë. 51. Rational Animals: Donald Davidson. 52. The Problem of Simple Minds: Is There Anything it is Like to be a Honey Bee? : Michael Tye. 53. Why the Question of Animal Consciousness Might Not Matter Very Much: Peter Carruthers. 54. Emotions and Choice: Robert C. Solomon. 55. Embodied Emotions: Jesse Prinz. 56. Is Emotion a Natural Kind? : Paul E. Griffiths.